Lions huddling up before their match. The Lindenwood men’s soccer team defeated Ouachita Baptist University 3-1 on Friday, ending the team’s three-game losing streak. The Lions broke the scoreless tie in the 15th minute with a strike from senior Stefan Andric and the assist coming from Gabriel James, according to Lindenwood Athletics. Andric would score again in the 25th minute giving the Lions an early 2-0 lead. The Lions weren’t done scoring, as Amirhossein Mohammadshahri scored the third goal of the game in the 35th minute and the first goal of his collegiate career, according to Lindenwood Athletics. Goalie Tim Licht hadn’t allowed a goal until Ouachita Baptist University got on the board in the 83rd minute. The Lions would go on to finish the game with a 3-1 win. These teams will meet again on Sept. 27 at Harlen C. Hunter Stadium. In the Lions’ two wins this season, the team has scored three goals in both games, the first game against Truman State and now against Ouachita Baptist. With this win, the Lions are now 2-3 on the season and will play their next game against Upper Iowa University at 1:30 p.m. Sept. 24 at Hunter Stadium. 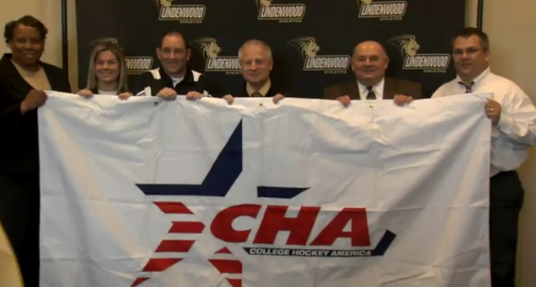 More information on the press conference held concerning the women’s ice hockey team.